Danica Patrick hosted the 2018 ESPY Awards on Wednesday, making her the first woman to ever hold that honor. 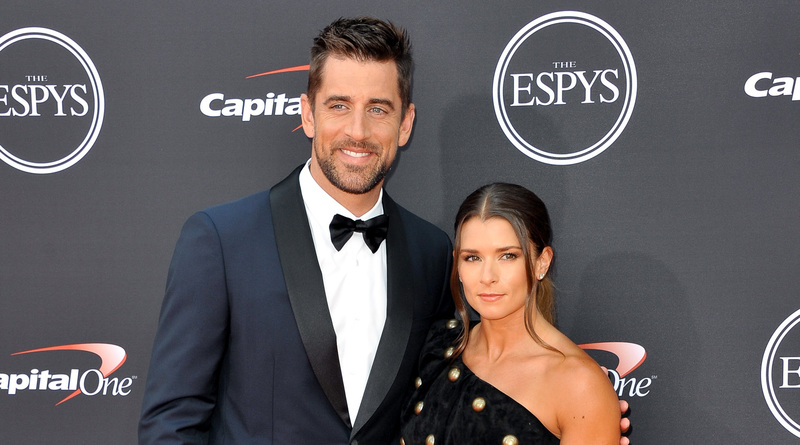 Boyfriend Aaron Rodgers was there with her, though he didn't partake in any hosting duties himself. However, the two did put together something special for the audience. Allison Janney — who won an Academy Award for her performance as Harding's mom, LaVona Golden, in the film — introduced the clip. Patrick portrayed her own mother in the spoof. When Rodgers himself appears, he's wearing a mustache, and he and Patrick compliment each other on how pretty they are before making out. The spoof then follows the general plot of I, Tonya, with Paul Walter Hauser (who played the same role in the film) trying to sabotage Hélio Castroneves' race car. On Twitter, several people replied to ESPN to tell them how funny they found the video. "This is sensational," wrote one person. Another said, "This was priceless," with three crying-laughing emoji. Someone else told Patrick to return to her race car driving roots: "I live in Australia. And I loved it. Funny as hell. Got our sense of humor. Oh yeh Danika get back into a car. Miss you already. Love indi [sic] car smashes." We're always here for hilarious spoofs.